Boy, Justin Fuente wasn’t lying. He said there were going to be some “three-and-a-half-hour stomach aches.” That’s exactly what Saturday night’s game was. That was a disappointing result. The performance was even more disappointing. 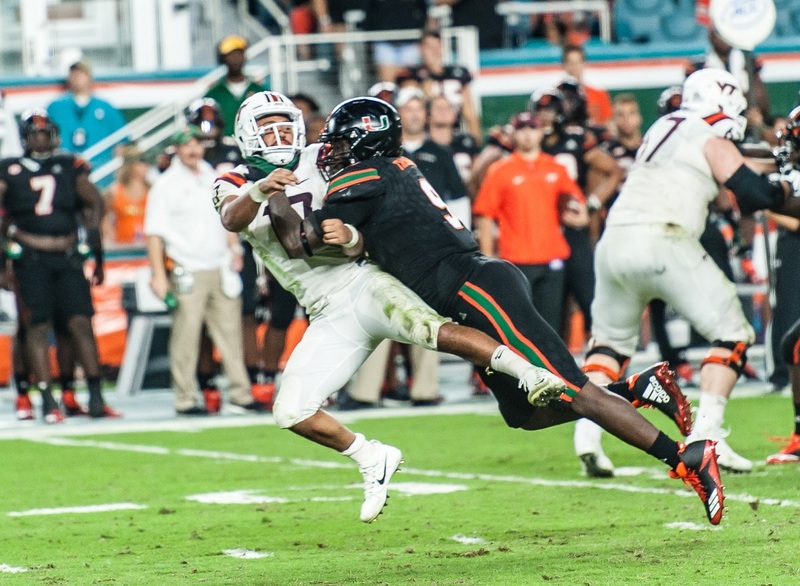 The Hokies are out of the Coastal Division race, and for the second time this year, we saw our weaknesses exposed in a primetime nationally televised game against a top-10 foe. The winner of last night’s game was going to come out of it with a lot of national appeal and a lot of momentum, and unfortunately for the second time this season, the winner was not the Hokies. So here we are at 7-2, and 3-2 in the ACC, and we know pretty much who we are. We are a solid football team that belongs in the bottom half of the top 25. Like all other teams of our stature, winning on a week-to-week basis requires us to not make critical errors, and it requires us to not turn the football over. We have little margin for error. We exceeded that margin last night, and we lost the game as a result. Meanwhile, Miami’s turnover chain got national recognition for the first time last night. The Hurricanes have won 13 straight games, they are a hot team, and their recruiting is absolutely on fire under Mark Richt.